While cruise ships are full of luxuries and modern conveniences, there is always room for improvement! If you love electrical gadgets, chances are you’ll need more than one or two power points to keep them all charged. Packing a mini power strip is the perfect solution to this problem! 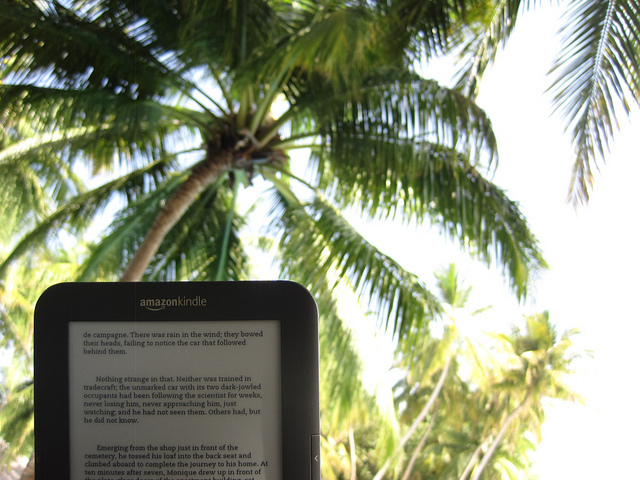 eBooks are the ideal gadget for poolside lounging and much needed downtime after exploring ports all day. No need to carry around bulky books – an eReader gives you an entire library at your fingertips! Whether you want to listen to holiday tunes, put on some soothing sleep music or watch a movie on your laptop, mini travel speakers are an excellent way to have your own personal sound system in the comfort of your room. With a smartphone tripod you’ll never have to ask a stranger to take your picture again! If you want to ensure the highest quality memories of your trip try investing in a smartphone camera lens. This increases the megapixels and will make your holiday snaps crystal clear! You’ll likely be doing a lot of relaxing by the pool listening to your iPod. Keep your wires tangle free with retractable USB cables and headphones. Cruise ship cabins are designed to be as compact as efficient as possible, meaning they often lack in electrical outlets. Bringing along a multiple port USB wall charger is a great way to make sure you never run out of charging space. This doubles as a wakeup call and a night light! Cabin lighting can sometimes be harsh so a smaller light is much nicer for reading a few chapters of your eBook before bed. Cruises can involve a lot of lying about and relaxing. Keep on track with your exercise routine with a fitness watch or wristband that helps you stay fit while you sail! Most likely you’ll be doing a lot of swimming or poolside activities. Protect your precious iPhones, tablets and other electronics with a waterproof case. They’ll also keep out other nasties such as sand and dust! Have we missed out a fantastic travel gadget? Do you use an amazing gadget whilst on cruises? We want to hear from you. Please leave a comment below – it could mean the world to another traveler just like you.